This is what my life looks like right now (actually last week). Demolition in progress. time consuming, especially when you start tearing out parts of your house. So I am more or less camping in my new house for a while. Before I moved, I was a few blocks from a wonderful Saturday market. Even on Saturdays when I was working, I could quickly grab a few things when the market opened and make it to work on time. I am going to have to be a little more organized to pull that off now. My new house is closer to the Wednesday Weaverville Market, so I anticipate becoming a regular at that market. I also get an occasional delivery from some Mars Hill farmer friends. Plus this week I bought two pints of blueberries while I was a work – out of a farmer’s trunk. The line at the Full Sun Farm Stand! Gaining Ground Farm Stand. I made red, white, & blue potato salad with those fresh-dug potatoes. Ivy Creek Family Farm. Can’t remember the name of these striking, almost black, flowers. LOCAL Lunch – Brown Bag It! Keep your lunch affordable AND local. Make your own! Are you currently buying your lunch every day? If so, you probably spend $8 to $15 for lunch, depending on whether it is fast food or fancy. That factors out to $160 to $375 per month for lunch. That’s a chunk out of your paycheck! With our abundance of Tailgate Markets in WNC, we can eat a splendidly local lunch that easily surpasses the Subway variety sandwich. Hint! Cover the sandwich evenly with each ingredient. Great bread is essential for building a satisfying sandwich. 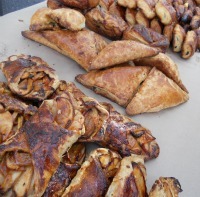 Artisan bakers offer delicious choices at all our tailgate markets. I prefer slicing my own bread because I slice it slightly thicker than a standard bread slicer. Spread any condiments (mayo, mustard, etc.) out to entirely cover the bread. Slice your cheese/meat and add the first layer to your sandwich. Follow up with layers of homegrown tomatoes, lettuce, and any other inspiring additions (cucumbers, peppers, basil, radishes, onions, olives, walnuts, etc.). Avocado adds a meaty (but not local) flavor to vegetarian sandwiches. Baby kale and spinach kick up the flavor fun. Use the same technique for constructing a gluten-free wrap rather than a sandwich. You can turn anything into a sandwich. Slap last night’s dinner between two pieces of bread as you race out the door in the mornings. It is worth taking a few seconds to meticulously cover the entire piece of bread with each addition, so that every bite is equally delicious. Wrap it up and head to work. This Saturday, September 28, the North Asheville Tailgate Market will be located in the MAHEC parking lot (instead of their usual location at UNCA). The MAHEC parking lot is located at 118 W.T. Weaver Boulevard just a stones throw from the UNCA roundabout at the Barnard Road intersection. their awesome customers have a chance to get their Tailgate Market favorites. The weather is supposed to be marvelous this weekend. I can’t imagine a more glorious way to spend Saturday morning…gathering goodies for feasting through the weekend and into the week. Fall is hinting its arrival. Revel in LOCAL FOOD while you can! WHY will they be at MAHEC? The Citizen Times Marathon is passing through UNCA this Saturday. 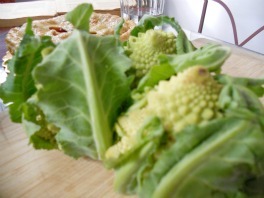 Thinking about subscribing to a CSA this year? Want to know who your farmer is…and eat seriously LOCAL food? Not sure what a CSA actually is? Find out on Thursday, March 21 from 3-6 p.m. at the CSA Fair. ASAP’s CSA Fair is a super-efficient way to check out a bunch of local farms all at one time, and access their CSA programs. CSA stands for Community Supported Agriculture. Usually you get a box of seasonal produce (fresh from the farm!) weekly during the season – but the box can also include meats, cheeses, eggs, flowers, and more. Many farmers will tailor your subscription to your family’s specific needs. Some farmers are also offering smaller boxes, or other creative sign-up options. Some folks get together and split a CSA share. Meet the farmer face-to-face. Ask questions. Find out what sort of farming practices they use (are they organic?). All the farmers listed here deliver to an Asheville/Buncombe County location. If you are ready to sign up, bring your checkbook and do it! There will be cooking demos and activities for kids too. My plan was to just post the words from this song that underscore how unaware we are – when we grab that head of lettuce in the grocery store – of the realities in giant industrial-sized lettuce fields. 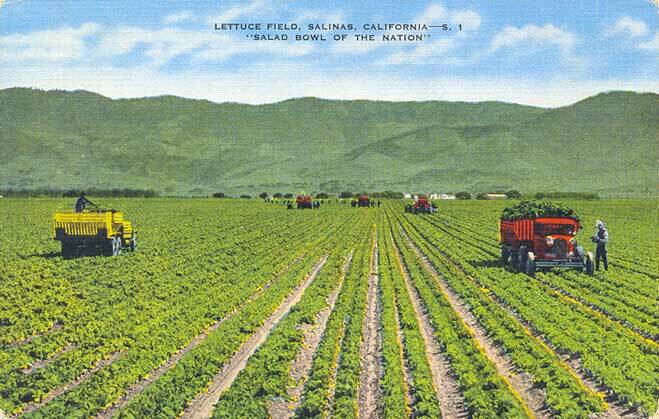 In looking for a picture to include, I discovered that just this one subject (women picking lettuce) brought with it a whirlwind of complex agricultural issues. If you care to read more, here are a few links that show the tiny tip of the iceberg (get it? ), including a modern picture of lettuce harvesters that illustrates this “gringo woman’s” report of her experience in the fields. keep 45% of every dollar you spend right here in our own community. That dollar will support actual people you know, rather than a big anonymous corporation somewhere on the other side of the globe. I admit to loving imported artisan vinegars, and I do go to Wal-mart on occasion. If someone opens up Belgium chocolates or Belgium beer, I will delightedly sample them. I am sure there are lots of things in my house that were “Made In China”. But, I have never been to China! Buying local is so appealing because we associate the face (i.e. the person) with the food or the craft. When we eat from the tailgate market or from our garden, seriously, we acknowledge who grew that food with a sort of gratefulness and admiration. We recently gave a basket as a wedding gift to some friends who are moving to Europe. This sturdy market basket was woven by Louise Langsner from different colored willow whips that grew on her farm in Madison County. Super-personal and super-rooted in this particular little spot of Blue Ridge Mountains soil. Those Appalachian twigs will find themselves in Austria, hopefully lending a little taste of these mountains to our friends when homesickness strikes. Over time that basket will have its own story to tell about what it has held…rocks…market visits…toilet paper…apples…but it will have a story. their utility to be fulfilled (so do use that fancy china sometimes, or it will feel sad and neglected). I realize I am verging way off-topic, but somehow it is all connected for me (or maybe it is the glass of wine). Much of our connectedness has become impersonal. Email vs. hand written letter. Text vs. phone call. Phone call vs. actual visit. Playing games with machines instead of with each other. Watching a computer screen vs. soaking up nature. We long for the authentic, the tangible, the solidity of eye contact. That’s where our local markets come in…and its easy. You just show up! The Holiday Markets started up last Wednesday, and this Saturday they really kick in with sunshine and good weather predicted. Think holiday parties, think Christmas presents, think…’tis the season to be jolly! 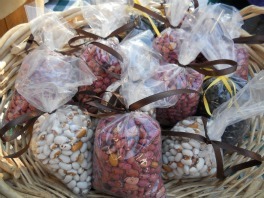 Paul Littman's Homegrown Beans, Dried! 828-768-2376. For Black Mountain orders call Becki at 828-775-9251. Located at 161 S. Charlotte Street on December 3, 10, and 17 from 10 – 1 (note holiday hours change). Located INDOORS at Fiddlestix in Mars Hill by the public library, on December 3, 10, and 17 from 9-1. Hot lunch available from Mackey Farm. Located INDOORS for the Holiday Markets at 449A Pigeon Street, 276 South, on the corner of Pigeon & Craven Streets. December 3, 10, and 17 (possibly longer, and also on Wednesdays in December). Bakersville Farmers Market, Holiday Market on December 10 from10-2 at the Historic Courthouse in Bakersville…plus winter market Jan – April on the second Saturday of the month. December 3 and 17 from 10-12, and on December 10 from 3-5:30. INDOORS at the Episcopal Church, 18 Jackson Street in downtown Sylva on December 3, 10, and 17 from 9-12. Holiday Market on December 3 from 11-3 at Mountainside Wine…and a winter market Jan – April on the last Saturday of the month from 12-4. Market open on December 10 and 17, but a special Holiday Market on December 3. From 8-12. INDOORS at the Burnsville Town Center with special Holiday Markets on December 3 and 10 from 9-3. Indie artists and crafters at the Asheville Art Museum and Pack Place, on SUNDAY, December 4 from Noon – 6. In the Arts Council building on Main Street in Marshall on Saturday, December 10 from 10-5. Saturday, Tuesday and Wednesday will be your last chance to stock up for Thanksgiving goodies at the Tailgate Markets. Winter squashes and pumpkin usually show up on the table, and there should be lots of beauties to choose from. 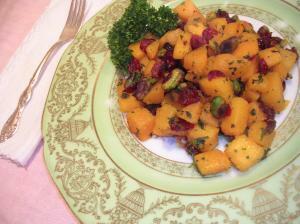 I am making this savory winter squash recipe as part of our Thanksgiving dinner. Lots of folks wouldn’t consider it Thanksgiving without a pumpkin pie, although my family likes apple better. Look for fresh eggs (see corn pudding recipe), cheeses, meats, and (duh!) TURKEY. Better special order the turkey now before all the birds are gone. 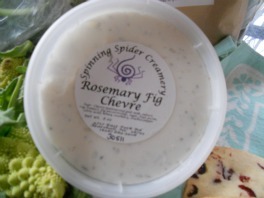 Spinning Spider Creamery has two special holiday chevres – pumpkin and cranberry. I tasted them at the Montford market this Wednesday, and both are delicious. Local goat dairies abound in our area (aren’t we lucky!). Support your favorite cheese-maker and bring the easiest, most delicious treat to dinner. 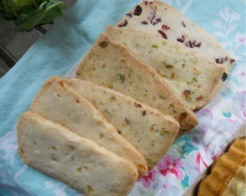 Chevre is slated for hors d’oeuvers at our house, along with those Roots & Branches Rosemary Crackers hopefully. And, oh, the baked goods. If you aren’t going to have time to bake…don’t buy a pie at the grocery store. Get beautiful handmade pies from your favorite baker. Hey – the pie crust won’t be patched together either like my homemade ones can sometimes be! Chill out and contribute something gorgeous to dinner. Imagine these…hot market croissants as your dinner rolls. With butter. Wouldn’t that be heavenly? Greens are so, so very tender and in season now. I fixed some unbelievably yummy greens from my garden the other night. It’s the frost that makes them sweet. Make some greens topped with caramelized onions and a splash of good balsamic vinegar. Remember as you are cooking your Thanksgiving meal, include your family. Pass down your families treasured recipes and how to make them. Start new traditions. Toddlers love to help. Your middle schoolers will probably complain, but they’ll be very grateful ten years from now – when they realize they have a few cooking skills thanks to you. Asheville City Market will be CLOSED on Saturday, November 19 because of the Christmas parade. They are OPEN on Nov. 26 from 8-1, and on thru Dec.17 for their Holiday Market from 10-1. City Market- South will be open on Wednesdays from 2-6 through Nov. 30 at Biltmore Park Town Square. Black Mountain Tailgate Market celebrates their Holiday Market on this Saturday, November 19 from 10-1. The market location will be inside White Horse Black Mountain. Also every Wednesday afternoon from 3-6 through December 28, a special indoor market – White Horse Farmers’ Market (indoor version of Black Mountain Tailgate) will be held at White Horse Black Mountain in Black Mountain. 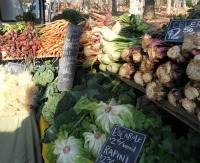 Dillinghan Family Farm in Barnardsville hosts a Winter Market on Saturday mornings from 10-1. Madison Farmers Holiday Market will be Saturday, Nov. 19 from 10-3 indoors at Fiddlestix in Mars Hill by the public library. They will be at Fiddlestix each Saturday through December 17. Marshall Handmade Market will be held on Saturday, November 19 from 10-5 at Marshall High Studios on the island in downtown Marshall. Great place to find local handmade Christmas gifts. Can’t find the island? Ask anybody on the streets in Marshall. Montford Farmers Market is open on Wednesday, Nov. 23 from 2-dark. Get last minute Thanksgiving goodies and pick up special orders. Closed for the season after that. Then at the same Montford Market location, but on Saturdays…9th Annual Holiday Bazaar which will be held on December 3, 10, and 17 at the Montford Farmer’s Market location (in the Asheville Chamber of Commerce parking lot) from 11-3. After that, many of the venders will be at the 9th Annual Holiday Bazaar which will be held on December 3, 10, and 17 at the Montford Farmer’s Market location (in the Asheville Chamber of Commerce parking lot) from 11-3. Waynesville – Haywood’s Historic Farmers Market is open through December 17 on Wednesdays & Saturdays from 8-1, indoors at the corner of Pigeon and Craven Streets. Weaverville Tailgate Market will host special Holiday Markets on Wednesdays inside the Weaverville Community Center ~ Nov. 30 and December 7, 14, and 21 from 2-6. Wednesday Co-op Market on Biltmore Avenue, some vendors and seafood still there on Wednesday afternoons from 2 – darkish. West Asheville Tailgate Market will be open on Tuesday, November 22 from 2:30-5:30. Stock up for Thanksgiving! Celebrate the end of the season ~ Holiday Basket Sale. All content and photos are copyrighted by © RUTH GONZALEZ, unless otherwise attributed. Thank you for being conscientious!